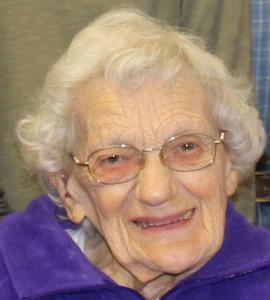 Doris Mulder, age 93, of Holland, MI formerly of St. Anne, Illinois, went to be with the LORD on October 31, 2018. Doris worked in a munition’s factory during WWII. After raising her sons, she received her Licensed Practical Nursing license and worked in a nearby hospital. Doris loved the LORD and daily read His word. She devotedly served the LORD and cared for her family. She and her husband, Gerald, moved to Holland in 2003. Doris was preceded in death by her husband of 69 years, Gerald, an infant son, grandson Paul Mulder, and sister, Edna Berlin. Dechavanne, Isabella Landroche, and Joe and Diana Mulder; 4 great grandchildren, brothers: Bob and Jackie Forgue, Larry Forgue, and sister: Shirley and Bill Kemp; brother-in-law: Merle and Diane Mulder, and sisters-in-law: Lois Parrish and Judy Mulder.